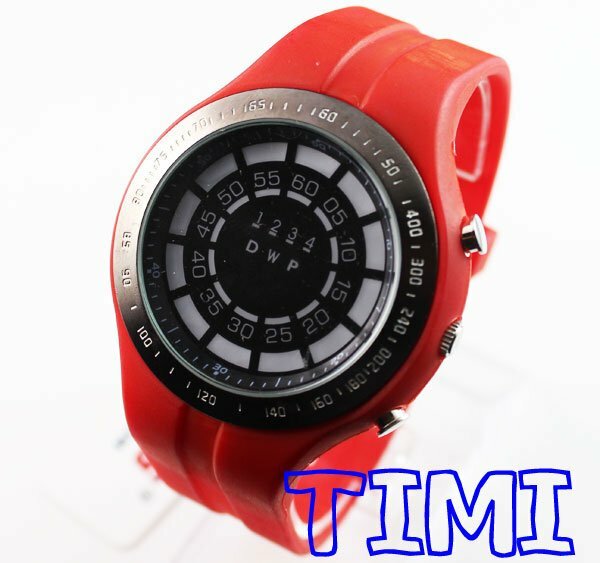 HomeProductsWatchesNew Design Girl’s/Ladies Sports Red Rubber Silicone Binary LED Watch. 2.The case is made of stainless steel. 3.Have founction of time,date & week.And it is very easy to read time by counting the mix color led on the ring dial directly.